Spiders are beneficial creatures — they help keep the insect population down. While they try to stay out of the way of humans, sometimes you can’t avoid crossing paths. The spider may defend itself by biting you if it feels threatened by your presence. 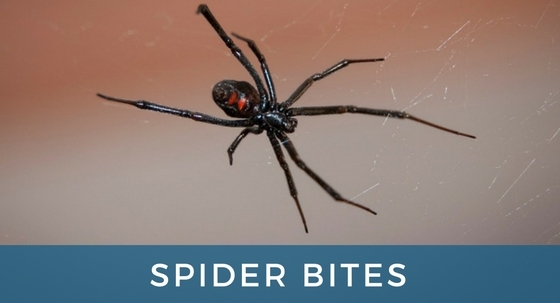 In most cases, a spider bite isn’t anything to worry about, but there are a few dangerous species that require treatment. You may feel pain and see redness and swelling around the bite area. In many cases, it won’t look much different from a typical bug bite. Bites from venomous spiders have an additional set of symptoms. You might have muscle cramps, start running a fever, or have a growing ulcer at the location of the bite. The pain also tends to spread throughout your body, rather than remaining localized. Tennessee is home to many spider species, including the wolf spider and the zipper spider. You don’t have to go through any treatment for these types, as they don’t pose a threat to humans. However, brown recluses, black widows and brown widows are also in this region. These spiders have bites that can cause serious problems, especially if they go unaddressed. In some cases, they can have fatal consequences. You start by cleaning the bite area and applying antibiotic ointment to it. Elevate the area if possible. Over-the-counter pain medications are appropriate to use for bites. Seek medical treatment if you are experiencing severe pain or suspect that the bite came from one of the three dangerous spiders. Black widow antivenom may be necessary. When you go to a medical facility, provide as much information as possible about the bite and about the spider if you happened to catch a glimpse of it. Some spiders look similar to their venomous cousins but don’t require treatment when they bite. A spider bite is a mild annoyance in most cases, but it’s important not to ignore it if you think you might have encountered a black widow, brown widow or brown recluse in Tennessee. The faster you get medical attention, the better chances you have of avoiding serious side effects. Did you get bitten by a spider and need help? Visit Physicians Urgent Care in Franklin, TN and Brentwood, TN for fast, effective care. Spring break is a great time to take a vacation, as it’s before all the popular destinations fill up for the summer. 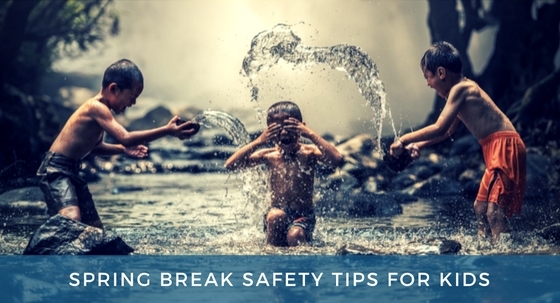 Whether you’re going camping, heading to the beach or staying home for a week, use these safety tips to keep your kids safe. The temperatures might be nice, but that doesn’t mean the sun isn’t doing damage already. Look for sunscreen designed for sports and other activities. This formula won’t wash off when the kids get sweaty or jump in the pool. Reapply it every few hours or as instructed on the container. Make sure that your children have a well-charged phone whenever they go on adventures. If they get into trouble or end up lost, the cellphone is a valuable tool for getting them back safe and sound. Set ground rules, including that your children must answer the phone when you call. You should also make it clear that they can call no matter what type of emergency occurs. Regular check-in times are another way to ensure that your kids are doing okay when they’re out of your immediate vicinity. Sometimes kids get injuries that require capabilities beyond those of your first aid kit. Before you go to your spring break vacation destination, look up the medical facilities closest to the area. You don’t want to be trying to find this information when you’re in the middle of a crisis. Want professional and fast medical care to help your kids in their time of need? Physicians Urgent Care in Franklin, TN and Brentwood, TN can get your vacation back on track by fixing serious situations and allowing you to avoid the emergency room wait and fees. Learn more about our services. Children under the age of six account for almost half of all instances of poisoning in the United States each year, with infants and toddlers between age one and two at the highest risk. 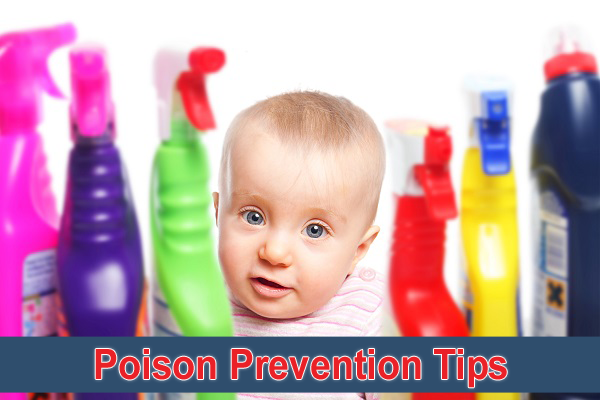 According to the Centers for Disease Control and Prevention (CDC), over 90 percent of poisonings occur in the home. Have a Plan — The American Association of Poison Control Centers recommends programming the Poison Help number, (800) 222-1222, into your cell phone and keeping it handy so that it is readily available in the event of an emergency. Carefully Read Food, Medicine and Household Product Labels — Even items packaged and branded as “all natural” can contain ingredients that may be harmful if ingested or trigger a potentially serious or fatal allergic reaction. Taking a little time to read the entire list of ingredients and handling instructions for food, cleaning products, and prescription and over the counter medications can prevent accidental exposure. Practice Safe Storage — Keep all cleaning, cosmetic, pharmaceutical and electronic products safely stored out of reach and locked if there are children under the age of six in the home. Install Alarms — Make sure your home is equipped with smoke and carbon monoxide detectors, and frequently check the batteries (set a calendar reminder) to ensure the alarms are active. Practice Appliance Safety — If you have older appliances, like refrigerators, air conditioners and kitchen stoves, have them serviced by a professional to ensure that they meet all current safety standards and regulations. Ventilate — Open windows and make sure that clean air is circulating in the home when cleaning with products that contain chemicals like ammonia and bleach, and properly dispose of all used paper towels, rags and cleaning applicators by sealing them off and throwing them out immediately so that they are out of your child’s reach. If you suspect your child or a member of your family has been exposed to a poisonous substance, remain calm and call 911 if they have collapsed or stopped breathing. If they are alert, contact the Poison Control Center. At Physicians Urgent Care we offer emergency treatment to walk-in patients, without traditional emergency room wait times. Contact us in Franklin, TN (615) 472-1550 or Brentwood, TN (615) 457-3864. Allergies are common, as 30 percent of adults and 40 percent of children in the U.S. have allergies. Knowing how to avoid your allergens is important, and recognizing an allergic reaction can save your life. Let’s look at some common allergens, some symptoms and what to do if you have a serious reaction. Some common allergens include things like pollen, certain trees or grasses, insect bites, medications, latex and many different foods like seafood, peanuts, and eggs. The key to avoiding your particular allergens is by knowing what they are; allergy tests are available which can nail this down for you. There are as many different symptoms of allergies as there are allergens themselves. For this reason, it is important that you notice when something seems amiss. This is especially important when taking new medications or traveling to a new area. Outdoor allergens like pollens, plants, and grasses are most frequently to blame for watery eyes, clogged and inflamed sinuses, sneezing and breathing issues. Inside allergens like cigarette or cigar smoke, pet dander, mold spores and even dust can cause allergic reactions. 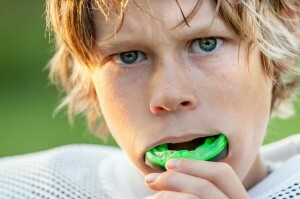 Food allergies often result in tingling in your mouth, and your lips, tongue or throat might swell. Hives are common as well. In severe cases, anaphylaxis results. Medication allergies typically manifest themselves as skin inflammation like itchy hives, facial swelling, rashes, wheezing and stomach problems. Some, notably the common blood pressure medication, Lisinopril, result in a constant dry cough. It is important to thoroughly read the list of side effects that your medicines have so you will be ready in the event of an allergic reaction. Insect sting allergies result in large swollen areas around the bite, hives or itching, wheezing, a cough or shortness of breath. 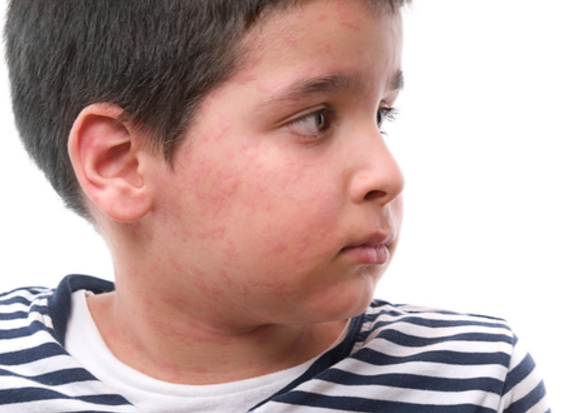 Severe allergic reactions lead to anaphylaxis, which is life-threatening. The symptoms come on quickly; problems like breathing issues, throat tightness, swelling, hives, nausea, vomiting, fainting or dizziness. Some people also get a rapid pulse or their heart will stop beating. Luckily, most people who experience allergy problems only have mild to moderate symptoms that are easily managed. However, if you’ve had serious attacks or you are at risk for anaphylaxis, you must keep medication with you to counteract it; medicines like EpiPen, Auvi-Q and Adrenaclick are examples of these. For those with less severe allergy issues, avoiding your allergens is the best course of action. When you accidentally come into contact with them, antihistamines or decongestants can often help. If you still have symptoms, or they get worse or persist, stop by your neighborhood Physicians Urgent Care right away. Our physicians are available seven days a week and no appointment is necessary. Did you know that fires and burns are the 3rd leading cause of accidental home injury deaths? 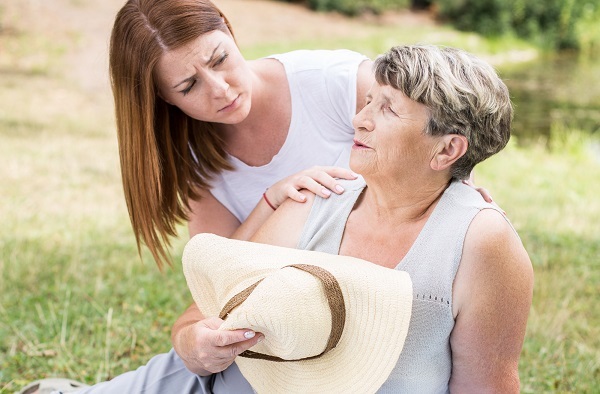 Your home is supposed to be your sanctuary, a safe place, but it can also be a place in which many injuries can occur if you fail to take the proper precautions. One the most common injuries that can occur in a home is a burn injury, and one of the places people get burned the most is in the kitchen. By taking the necessary precautions when cooking or using other kitchen items, and following a few safety rules, you can greatly reduce the risk of you or a loved one sustaining a burn injury. Don’t wear loose fitted clothing near open flames from the stove. Always use potholders and oven mitts that are in good condition when removing hot pans or pots from the stove. Don’t leave potholders, oven mitts or other flammable materials near the stove when it is on. Don’t overfill pots with water or other liquid to keep them from boiling over. 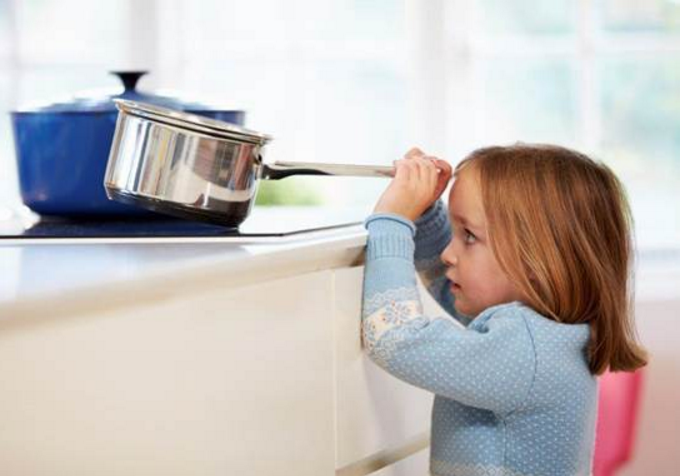 Always use a lid or mesh screen over pots and pans on the stove to avoid hot great splatter. Don’t lean directly over pots when removing the lid; the steam could be scalding. Don’t leave food that’s still cooking unattended, especially fried or grilled foods. The heat of the pot or pan may rise higher than you thought, causing the handle to deliver an unexpected burn. Always keep a fire extinguisher handy in the kitchen in case of flare-ups or electrical fires. If you have small children, don’t use a dainty tablecloth, which can be easily pulled out. This can lead to a burn injury when hot food or drinks on the table falls on them. Keep all flammable items and substances out of the kitchen. For example, air fresheners should not be used in the kitchen when the stove is on. Often burn injuries that occur in the kitchen and other areas of the home typically happen when a person stops paying attention or acts in an unsafe manner. Even the smallest burn injury can be painful and severe, so it’s important to practice proper safety at all times when working and handling hot objects and kitchen appliances. If you sustain a minor burn injury at home, be sure to stop by your neighborhood Physicians Urgent Care in Brentwood, TN or Franklin, TN to be seen right away. Our well-trained, superstar doctors and staff are available seven days a week, with not appointment necessary. Get compassionate, emergency room care at a fraction of the cost without the long wait. Being sick during the holidays is tough, especially when you have lots of shopping, wrapping and party planning to do. Yet this happens to be the time of year when many people get sick. And to make it worse, you’re often in close quarters with more people than usual, making it easier than ever for germs to spread. If you’re hoping to avoid being sick during the holidays, here’s a few simple tips to keep in mind. With everything you have to do during the holiday season, it can be easy to forget to wash your hands frequently. But this simple task is one major way to keep from getting sick, so make sure you wash your hands with soap and water for at least 20 seconds each time. Being busy is not conducive to getting enough rest, but this step is important. When you’re sleep deprived, it’s harder for your body to fight off illness. This is why you should aim for seven or eight hours of sleep per night. 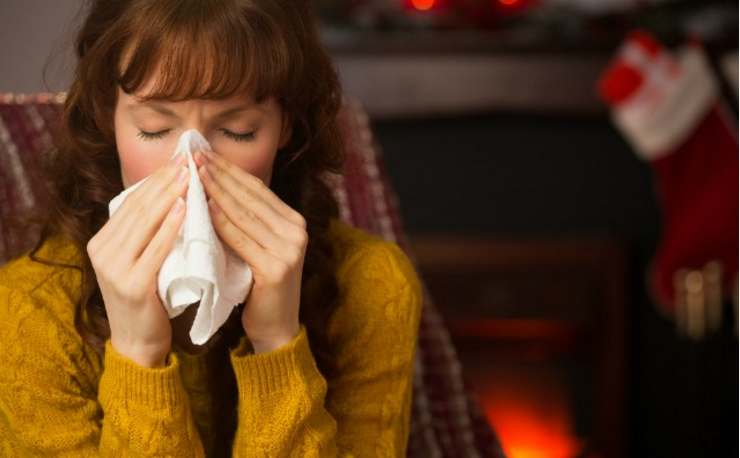 You don’t want the flu during the holidays. Fortunately, you can greatly reduce your chance of getting it by getting the flu shot. Make sure you stay up-to-date with all other vaccinations too. When your goal is to stay healthy, eating right is a step in the right direction. Instead of filling up on junk food — which is easy to do during the holidays — stick to healthier snacks, such as celery and carrots. Nuts are also healthy snacks, with walnuts, pecans, pistachios and almonds being the best kinds to eat. Delicious, sugary baked goods are always around during the holidays, but you don’t have to skip out on eating them entirely to stay healthy. If you’re baking from scratch consider swapping out a few unhealthy ingredients for better options. For example, use applesauce instead of vegetable oil and whole-wheat flour instead of white flour. In addition, a healthier alternative to sugar is honey. Keeping these baking alternatives in mind can help you stay healthy and avoid the typical holiday weight gain. With everything you have to do to prepare for the holidays, you might be tempted to skip your workouts. But this can wreak havoc on your body, so you should try to stay active as much as possible. Consider taking a family walk every night after dinner to look at the lights and decorations around your neighborhood. If you do start to experience symptoms of a cold, the flu or sustain a minor injury, don’t worry, stop by the nearest Physician Urgent Care in Brentwood, TN or Franklin, TN. Our staff is available seven days a week to give you the care you need when you need it most with no long waits or appointments necessary.